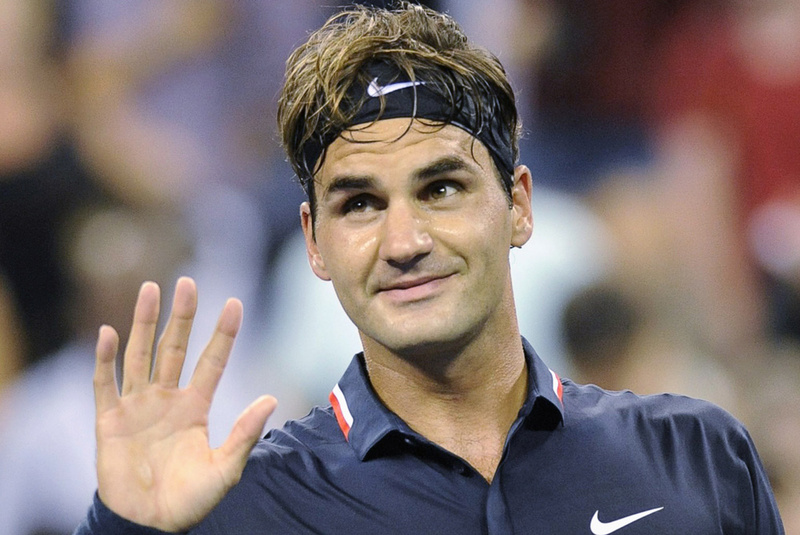 Roger Federer is an enigmatic personality to many. His hands give us a clue as to what kind of a person he really is. By nature, he tends to be complex; a person who seems calm and controlled to the world, but who is coiled up like a tight knot inside. Skilful and talented, but vulnerable and soft inside. Roger Federer’s hands show him to be a very balanced personality. Hands neither short nor long, fingers neither short nor long. Fingers, including the thumb, all of the right size, and with a good combination of square and conic tips. Mostly straight. The kind of balance shown is precisely why he has been able to function so well, and control any extreme trait. His breadth of vision, balanced mind, common sense, thoughtfulness and reasonableness, all have helped keep him on the straight and narrow path. You can check out a hand photo of his here or here. A person is but a mix of various traits and if personality traits balance each other out it works out fine. If not, there can be trouble. Roger Federer has a few weaknesses. While he is prudent, cautious and dependable, he is altogether too serious (Saturn). He was always the serious sort (born such) but this tendency has intensified over the years and my guess is that this is because he took to professional tennis at a very young age. This must have deprived him of the carefree life that many teenagers have. Being very serious and focused is an excellent trait of course, but it can be taken to an extreme. Not that Federer cannot enjoy himself. The square tips and balanced hand show that he can summon up the necessary equilibrium. 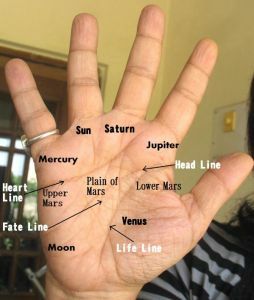 His hands also show a temper (Mars). This is an inherited quality. If he seems calm nevertheless, it is because of the ability to control himself. His Upper Mars tells us he can suffer from anguish and self-doubt, be disheartened, and can find it a little hard to hold up emotionally during bad times. No one likes to lose, but Federer takes it worse than most. He may not always show it, but he feels very angry when he loses and often directs his anger at himself. This trait does not combine well with the seriousness shown by Saturn, because it makes him see situations (and also himself) in a far more serious and worse light that is actually the case. In other words, he can lose perspective. When he is down, the aggression and temper which he has (Mars again) cannot sustain him. One needs an inner strength and he gets it from people close to him. His strong Moon qualities like strong imagination, restlessness and diffidence and the impressionability of the thumb don’t give him that strength, and in fact, take away from it. The way Federer holds his fingers tell us that he likes to take his own decisions, and does what he thinks is right, and does not always care what others think of it. He has awesome discipline and control, all evident from the lower phalanges of his fingers, his headline, and his thumb. He also gets into the details, plans and analyses. He has a systematic approach to his work. He will want to take care of all loose ends, study and analyse, and ensure that he does not overlook anything. Federer is a pretty shrewd guy and can be tactful and persuasive. Dependable and reliable, his hand shows talent and a high level of skill. His physical skill is to a large extent dependent on his mental skill, because of the way he thinks and plans. If he has been successful it is not just because of his hard work and skill, but also the way he thinks and also the enormous discipline and focus that he has. He is a good human being, even if he is cynical. Even if he likes to make money, money by itself is not important, excellence is. Winning is too. That is what makes Roger Federer who he is. He is not interested in showing off his wealth (Sun finger) and not interested in status symbols. If required he can lead a simple life. He is not stingy and has good taste. He may not always be diplomatic, but he is certainly not stubborn. He is, in fact, a very pleasant person. His balanced nature ensures that. Related Reading: Are Roger Federer and Mirka compatible? Check out Rafael Nadal - Hand and Finger Analysis or Hand analysis of Venus and Serena Williams and read about Maria Sharapova. Also check out the hand readings of other international players and Sports Stars from different fields like that of David Beckham and Cristiano Ronaldo. And well, now you know why! :) Actually I didn't know this about him as I am not a follower of tennis. All I knew is that he is robot like and I was pretty surprised to see his hand! I even hesitated to write about it, thinking people will think I am wrong! :) But his temper and vulnerability are etched clearly on his hand, and so is the discipline and control that he keeps himself under. kanagu, yeah it's a mixture of frustration and anger, the reason why he breaks down! It is almost eeyrie, to get inside the mind of a person! And Nadal or Sampras? Ofcourse. Anonymous, no problem at all. I haven't looked for his wife's photos on the net, but if you have some then do send them. if he has anger then why does it come out as tears when he looses? Also do all successful sports persons have big lower phalanges as that shows extraordinary discipline and control? Anonymous, that's a difficult question for me to answer, about his tears. My guess is that he is too refined a person to scream and shout. Disciplined people (in terms of control over their physical self),generally have underdeveloped third phalanges and this particularly applies to the Jupiter phalange. However other signs need to collaborate this reading. Who would you say is more talented/skilled between Federer and Nadal? Federer looks more natural/free-flowing to me with varied patterns of play. Federer is clearly the more talented, but that is my personal opinion. It is very difficult to look at the hand and specify the degree of talent because talent comprises many things, not just the physical and mental ability. Stamina, character, temperament and natural health all play an important part.